1. Colour in the characters. 2. Carefully cut out the packet along the outside edge. 3. 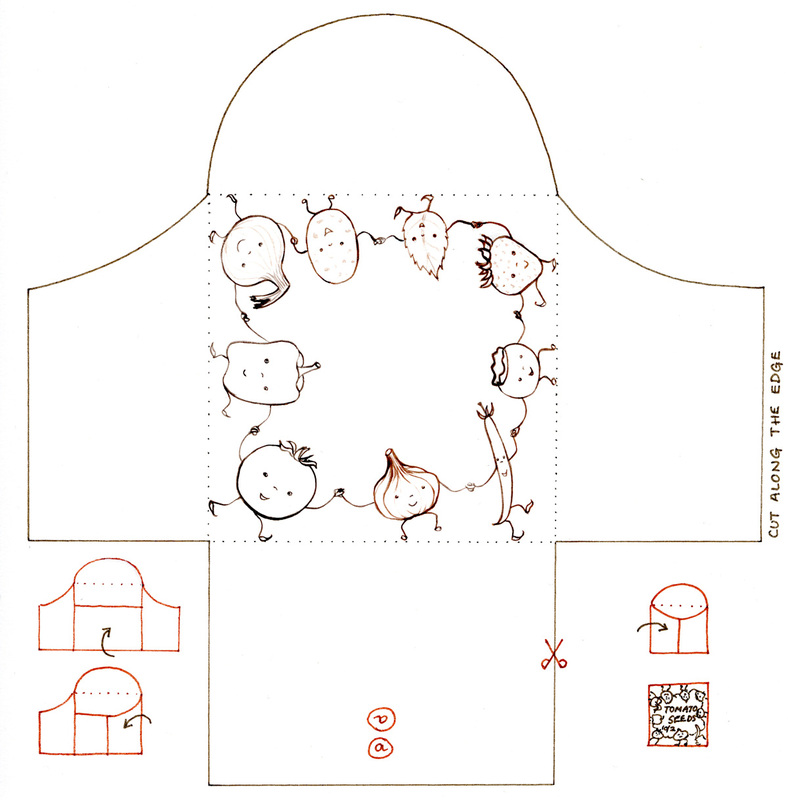 Turn the packet over so the characters are facing downwards and fold panel (a) upwards. 6. If you have some seeds, write the name of your seeds and the days date on the front of the seed packet. 7. Put your seeds inside and glue down the top flap to seal. 8. Store your seeds inside somewhere dry until you are ready to plant them. Top Tip: Try and save as many seeds as you can each year. Sunflowers and pumpkins seeds are really easy to save. Make sure the seeds are clean and completely dry (lay them on a tray in the hot sun for 5-7 days) before you store them.